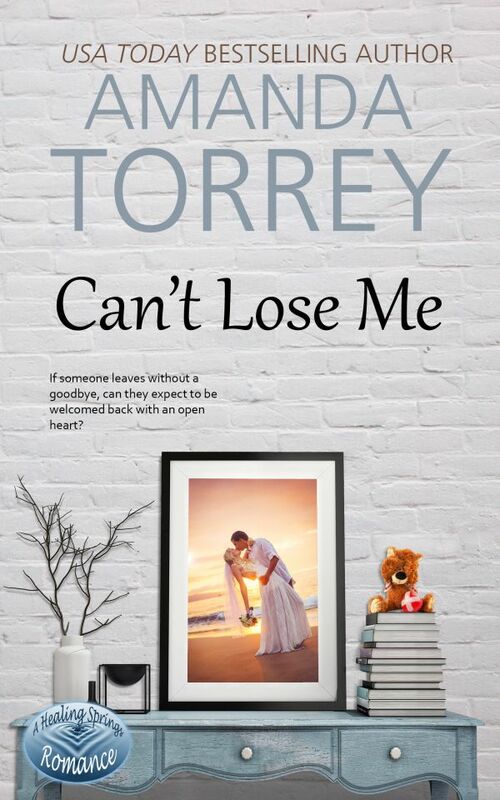 Author Amanda Torrey - Characters you can relate to. If someone leaves without a goodbye, can they expect to be welcomed back with an open heart? Mackenzie O’Brien made the biggest mistake of her life when she left her husband on the eve of their sixth anniversary. But when she returns to Healing Springs to beg for forgiveness, she’s met with a man who is harder and angrier than the sweet, kind man she left behind. This new version of her husband has no problem humiliating her and casting her aside. She won’t go so easily this time… Gabe never imagined his loving wife would leave him like an unwanted kitten, but he’s been dealing with the abandonment every day. When she shows up at his door—the door she slammed behind her—expecting him to take her back, his first temptation is to slam the door right back at her. He’s done his best to harden his heart, but having her and her vulnerability in close proximity messes with his head… and other parts. When fate laughs in their faces and thrusts them together, neither Mackenzie nor Gabe knows how to navigate the muddied waters. Is the love they once shared strong enough to get them through the lowest of marital woes? And if they manage to brave this storm, will they be able to settle the undercurrents that continuously threaten to tear them apart?